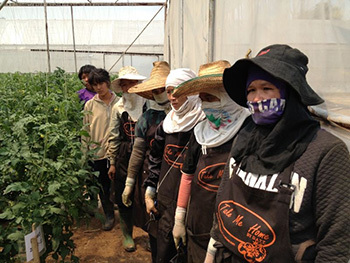 Our team of in-house experts have over a decade of experience in greenhouse production, and marketing of vegetables, herbs, flowers and fruits in (SE)Asia. Because of this ‘hands on’ experience, there is virtually no problem that stays unsolved… we have seen it all! In our consultancy approach, we outline the different aspects and desires that needs to be mastered for each client. 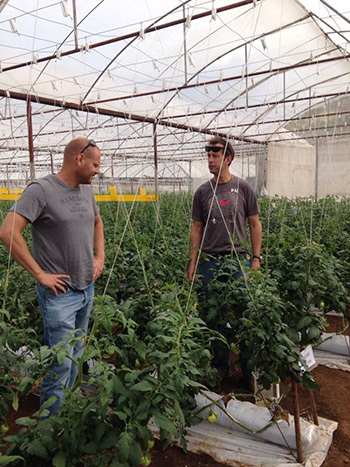 We are the experts in managing commercial greenhouse production in (sub)Tropical conditions, and we will find a solution for all our clients needs and requests. The focus of our consultancy, as in our hardware, is to eliminate any factor that is a potential risk to our client. We do this by using the best quality products and knowledge. When all materials and knowledge are of the highest possible standard, one can truly focus on managing a successful crop and solving problems efficiently. We have set up a training method that combines theoretical with practical training. The trainees acquire the knowledge and skills that relate to their job expertise. They become highly competent in their field of work. The theoretical training consists of a customized program that fulfills the specific needs of our client. This is from years of acquired knowledge and process standards that have proven successful. The training program combines together our knowledge, experience and the input of specialists, in an easy to use format. 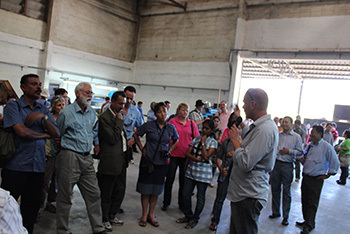 During our practical consultancy sessions we prefer to use the production facilities of our clients. Our experience is that training ‘on the job’ is the most efficient and successful method. Trainees learn exactly what is necessary to excel in their particular position, in their own working environment. 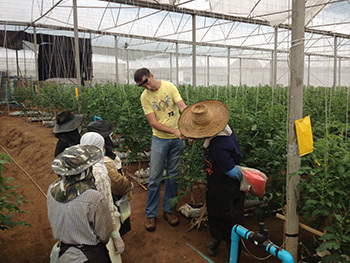 This practical consultancy is by far the largest and most important part of our consultancy work. – Evaluation of variety trials and variety advise.